The Martin Luther King, Jr. Community Center, along with the Dallas Civil Rights Museum, will host a panel discussion entitled “Rediscovering Lost Values” on Thursday, February 28, 2019, from 6:00 p.m. to 8:00 p.m. at the MLK, Jr. Community Center (2922 MLK Boulevard, Bldg. A). This year’s theme was taken from a speech Dr. King delivered in Detroit in 1954. Panelists include Matt Houston, President of the Dallas Black Chamber of Commerce; Rev. L. Robin Murray, Assistant Minister of Children’s Ministry at Joy Tabernacle AME Church; and Dale Long, member of Alpha Phi Alpha Fraternity, Inc. and Big Brothers Big Sisters National Partnership Chairman. The moderator is Norma Adams Wade, Journalist from the Dallas Morning News. There will also be a special presentation by Millicent Rone, President of the American Airlines African American Diversity Network. “We hope attendees will be inspired by our presenters to continue to move Dr. King’s dream forward through action, on a sustained basis,” says Emma Rodgers, curator of the Dallas Civil Rights Museum. The Dallas Civil Rights Museum will also be open for tours and information. This event is free and open to the public. Radio One hosted a Shoe Give-a-Way with Houston Rapper Slim Thug to donate 200 pairs of shoes to Miles of Freedom and the Martin Luther King, Jr. Community Center. He also took some time to visit the Dallas Civil Rights Museum in honor of Black History Month. The Annual Dr. Martin Luther King, Jr. Celebration is a long-standing tradition of the Martin Luther King, Jr. Community Center, with a series of events honoring King’s life and legacy. For the first time in the City’s history, there will be more than a week-long commemoration, which will begin on January 9, 2019, and will run through January 22, 2019. This year’s theme is “Reconciliation: Moving the Dream Forward” and all events will touch on various issues Dr. King championed during his lifelong career of activism. Below is a schedule of events planned for the 2019 MLK Celebration Week. For details, visit www.dallasmlkcenter.com/mlk-celebration-week. The March/Parade will be held on Monday, January 21, 2019, starting from Holmes Street and MLK Jr. Blvd., promptly at 10:00 AM. The parade entry fee is $90 which can be paid via Money Order or Cashier’s Check, made payable to Communities Foundation of Texas. Refunds will not be available. Applications are available in the MLK Administration office or online at www.dallasmlkcenter.com/2019-mlk-parade. 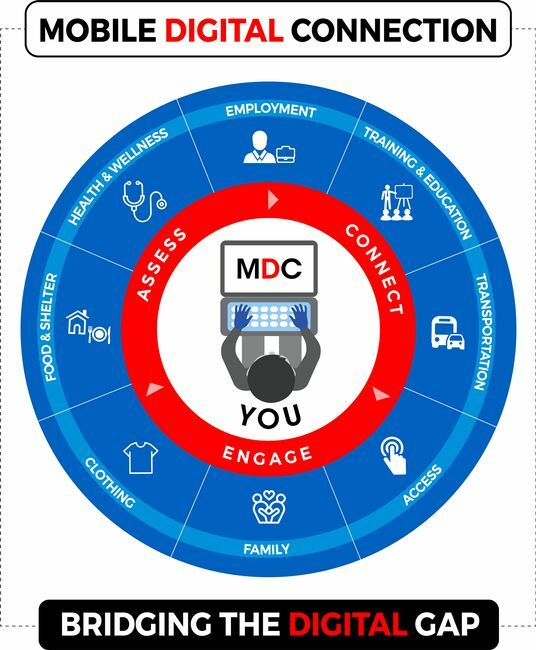 Applications can be emailed to info@dallasmlkcenter.com, faxed to the MLK Administration office at 214-670-8501, or mailed to 2922 MLK Boulevard, Dallas, TX 75215. For questions, please contact a staff member at 214-670-8418. You are cordially invited to attend our 2nd Annual Thanksgiving in the Neighborhood! Come and have dinner with us in the true spirit of Thanksgiving. Join us on Saturday, November 17, from 11:00 AM to 1:00 PM, for a complete turkey dinner with all of the trimmings. No RSVP is required. 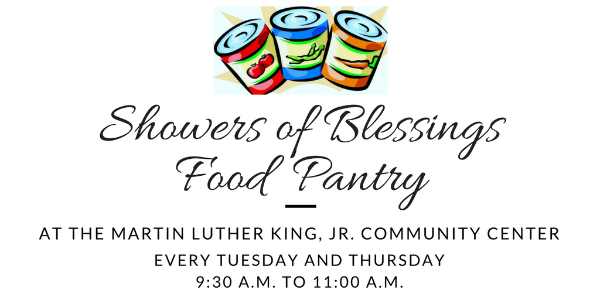 This event is a collaboration between the MLK, Jr. Community Center, The Giving Tree Ministries, and Delta Sigma Theta Sorority, Inc. For more information, contact 214-670-8442. Each year we observe National Hispanic Heritage Month (September 15 to October 15) by celebrating the histories, cultures, and contributions of Hispanic and Latino Americans. On Thursday, October 11, join the Martin Luther King, Jr. Community Center, the West Dallas Multipurpose Center, and HACER for a discussion with Consul Guido Arochi, Mexican Consul for Cultural Affairs. This is a free event that will take place at the MLK, Jr. Community Center (2922 MLK Boulevard) at 11:30 A.M.
Light refreshments will be served. All media outlets are invited to attend. For more information, visit https://dallasmlkcenter.com/event/hispanic-heritage-celebration. The MLK Back to School Festival is a “one-stop shop” for parents and students preparing for the new school year. Families can take advantage of free school supplies, backpacks, uniforms, haircuts, and hairstyles. Medical screenings and immunizations will be available through the Foremost Family Health Center. In addition, vendors will be on site with information about education, health, social services, and other available resources in the community. This event is free and open to all families with school-age children from Pre-K to 12th grade. To receive supplies, parents must provide a photo ID and children must be present. Parents do not have to pre-register to attend. The Back to School Festival will take place at the MLK, Jr. Community Center, located at 2922 MLK Boulevard, from 11 a.m. to 2 p.m. All media outlets are invited to attend. Sponsors and vendors are still needed to make this a successful event. For more information, please visit www.dallasmlkcenter.com/back-to-school. Reliant continues its dedication to the well-being of its customers and local communities by offering several summer assistance programs, including Reliant Beat the Heat Centers in public locations throughout Houston, Dallas, and Corpus Christi. Since 2005, Reliant has contributed more than $10 million through its CARE energy assistance program to help Texans manage summer electricity costs. Reliant will sponsor a cooling center at the Martin Luther King Jr. Community Center and at the West Dallas Multipurpose Center starting June 1, 2018. Participants will be allowed to “beat the heat” in an air-conditioned building during business and high-heat hours through September. In addition to an air-conditioned space, the Center will offer bottled water, snacks, games, and activities, Monday through Friday, from 9:00 AM to 4:00 PM. A press conference will be held on Friday, June 1, 2018, from 10:30 AM to 12:00 PM to kick off the summer program. Special guests include Bill Clayton, Vice President of Customer Care for Reliant, and Dallas Councilman Kevin Felder. This event is sponsored by the City of Dallas and Reliant. 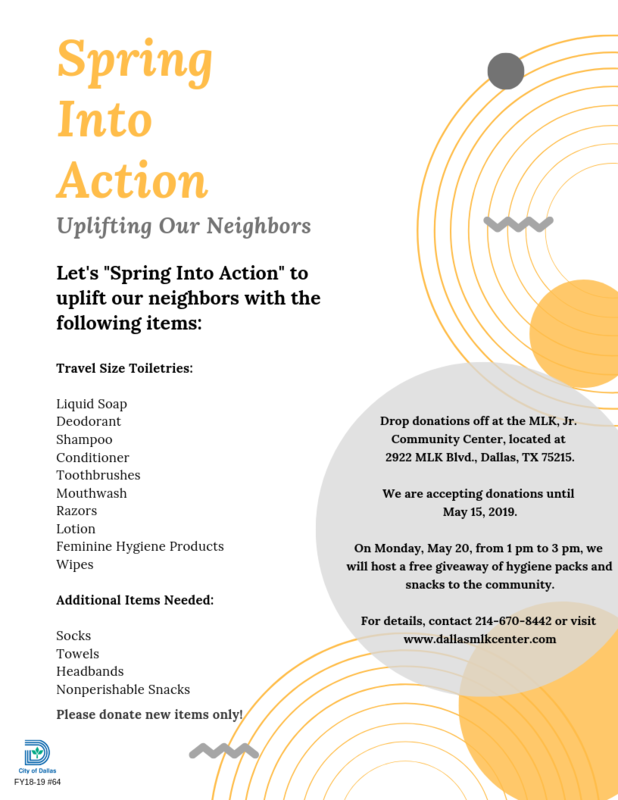 For more information, please contact (214) 670-8418 or visit www.dallasmlkcenter.com. The Martin Luther King, Jr. Community Center invites you to participate in the 2018 Juneteenth Celebration, a community-based event celebrating art, history, music, food, family, and freedom. The Juneteenth celebration is a free event, honoring the oldest known celebration commemorating the ending of slavery in the United States. The event takes place on Tuesday, June 19, 2018, from 3:00 pm to 7:00 pm. And last, but not least, live entertainment by local artists, musicians, spoken word artists, dancers, and more! We are asking for your support this year by participating as a vendor, sponsor, or volunteer. For details, please visit www.dallasmlkcenter.com/Juneteenth. We are looking for new committee members to help plan the 37th Annual MLK Celebration in January 2019. You will be responsible for planning events reflecting on the life and legacy of Dr. King, including the Annual MLK Parade, Awards Banquet, and Celebration Fair. Committee meetings are held every 2nd Monday of the month (excluding July) at 6:30 PM at the Martin Luther King, Jr. Community Center. We welcome new members and new ideas! For questions, please contact 214-670-8418.